Public Water Systems that add a disinfectant to their water or serve disinfected water are subject to the monitoring and reporting requirements of The Long Term 2 Enhanced Surface Water Treatment Rule, and The Stage 2 Disinfection Byproducts Rule. Quarterly Treatment Reporting Data is required to be sent to the Division of Drinking Water (DDW) by the 10th day following each quarter: January 10th, April 10th, July 10th, and October 10th. 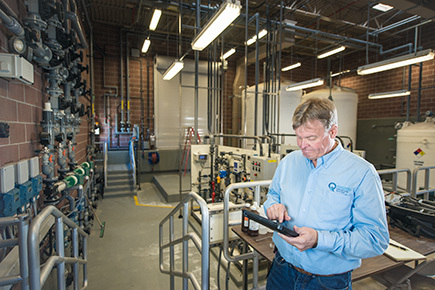 NOTE: Consecutive Connection systems DO NOT need to send in quarterly chlorination reports unless they have an active chlorinator. Have your labs send us DBP results directly. If you like you can also email us a copy of the lab report to DDWREPORTS@utah.gov. Report your distribution system chlorine residual averages at MRDL.utah.gov. Use the simplified and updated Quarterly Chlorination Report provided in the section below. Email to DDWREPORTS@utah.gov.